Notes aplenty some legible and some have left me scratching my head. My process involves drawing up a pattern and the basic measurements. I then write the steps as I go trying to snap a photo of each step as I go. It is always good when the pieces line up and fit the way I envisioned them. Back to more writing and testing. 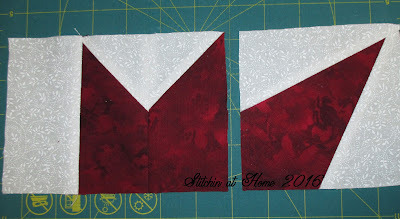 I also need to get working on my addition to Sandra's of mmm!quilts block done for the Mini Round Robin. You can read more about the Mini Round Robin here, here and here. 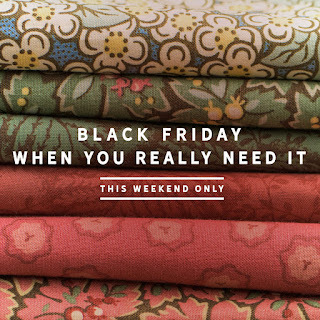 Craftsy is having a Black Friday Sale this weekend. Go take a look around you never know what you'll find. A little tease of the block you are working on :) And yes the round robin...time is starting to tick away. I need to start working on Julie's as well. 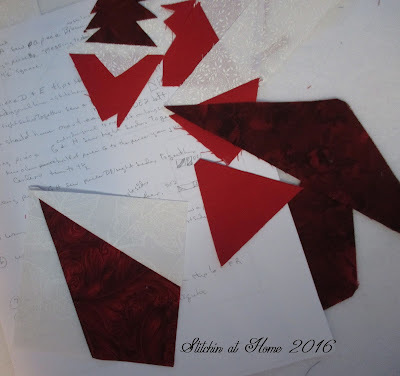 We have a similar creative process Cindy; I scribble notes when making patterns too. Sometimes I can't make heads or tails of them afterwards, LOL.